About the Author: Conceived at the ‘city of lakes’, raised in a small town, grown as a cosmopolitan, the author values her roots immensely. Gopica had a knack for expressing her opinions through words since her late childhood. Before the realisation of becoming a poet dawned upon her, she was a voracious orator. Always sensitive enough and sensitising other people enough - about social issues & breaking the shallow stereotypes; her fondness for psychology multiplied itself over the years. With an English Hons. Degree and a Masters in Psychology, she always loved to find solace in her studies and used it more like a weapon against what she would call ‘her follies’. Being an over achiever as a kid, she tried to expand her intellect as an adult by interacting with people from different cultural walks of life. A self- proclaimed jack of some traits, she has tried her hands on singing, teaching, counselling, playing instruments, bottle painting and the list could go on. 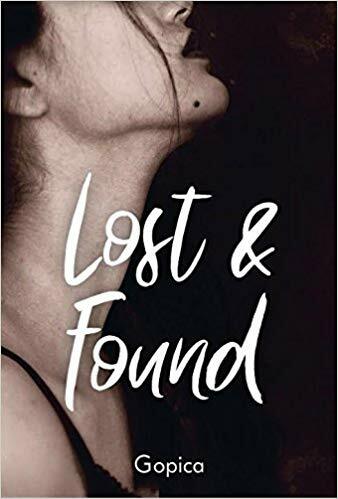 About the Book: An anthology of 80 poems, the book ‘Lost &Found’ is a mixture of various themes that one may be able to identify in their lives.Being an involuntary victim to the glorified rat race, blinds people from the intricacies and the minutiae of the so called ‘gifted life’. 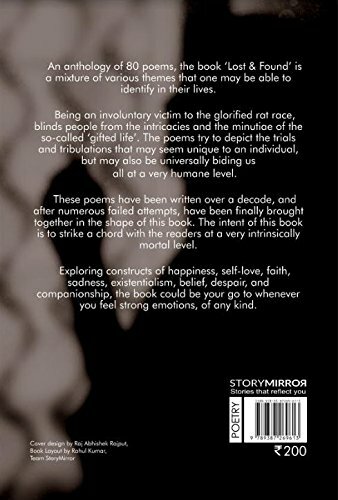 The poems try to depict the trials and tribulations that may seem unique to an individual, but may also be universally biding us all at a very humane level.